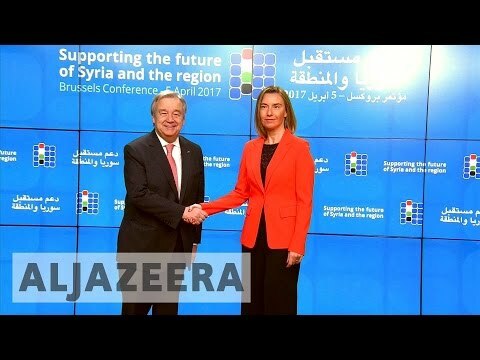 Billions pledged at Brussels conference for Syria reconstruction. A chemical attack in rural Idlib this week hung heavily over a conference of 70 nations in Brussels who gathered to raise money for Syria's reconstruction. Participating nations pledged to contribute at least six billion dollars. Why do taxpayers pay billions for football stadiums?